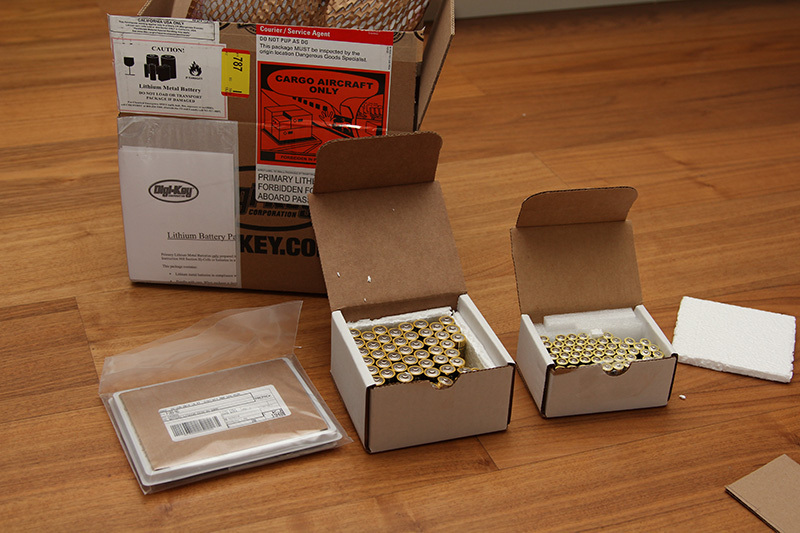 ... you stock batteries from Digikey. I'm kind of Lost here. But I am not Electrical engineer. Yep, there are AAAA batteries that exists in this world. Used with my Dell stylus. I just went on that site, it has to be the nerdiest collection of stuff ever. $8.00 flat rate via FedEx overnight. This explains it. Is that on the left a whole tray of coin cell batteries? Yes sir. 25 CR2032 batteries. Honestly this is the First time I've heard of the Quad-A. Me too. Post a size compared to AAA? Perspective? Further away is smaller. Makes sense for a stylus though. lol, and 9V batteries are pretty cheap on Digikey too. Now THAT is taking cheap to a new level.